3rd-CD, $65,706, Msw, 5-4, 3yo/up, 6f, 1:10.06, ft. Lifetime Record: 1-1-0-0, $39,600. Click for the Equibase.com chart or VIDEO, sponsored by Fasig-Tipton. Click for the free Equineline.com catalogue-style pedigree. 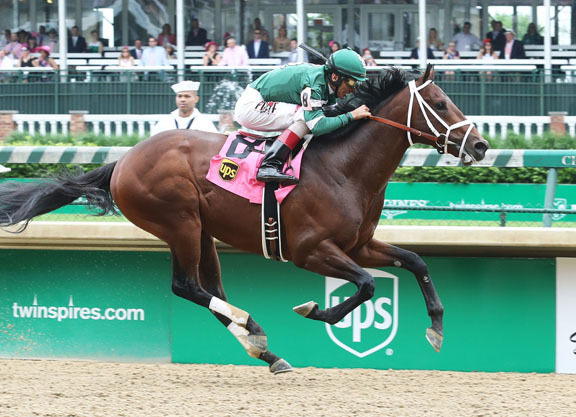 O-St. Elias Stable and West Point Thoroughbreds; B-Gainesway Thoroughbreds Ltd. (KY); T-Todd A. Pletcher. *$825,000 Ylg ’16 KEESEP.